Published yearly in May, the CRAM Guide is 3CR's print magazine. It includes news, articles, and events as well as the latest Program Guide and Subscriber Discounter List. Become a 3CR Subscriber to receive your free copy. The 2018 CRAM Guide is packed with great articles and information to feed your brain and soul this Winter. There are features on the criminalisation of journalism, making the airwaves trans inclusive, youth justice radio and much more. 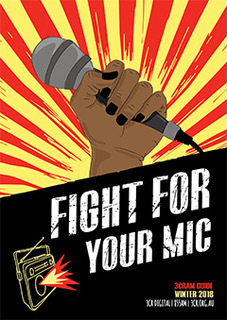 Read up and remember to 'Fight for your mic!'. 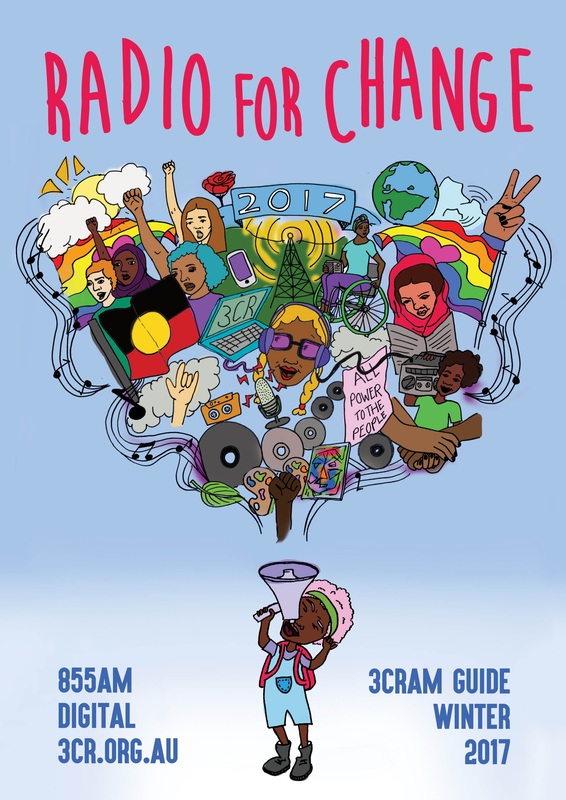 The 2017 CRAM Guide delivers a rich array of on-air updates and features to the theme of 'Radio for Change'. 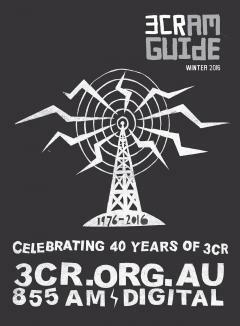 The 2016 CRAM Guide celebrates 40 years of radical radio. 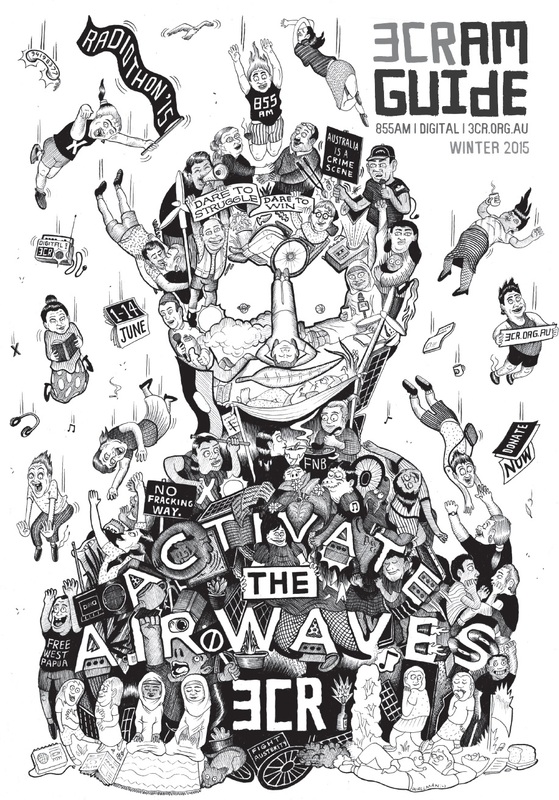 Our birthday exhibition 'If People Powered Radio' is profiled, along with excerpts from the station's stunning book publication Radical radio: Celebrating 40 Years of 3CR. Includes program and people profiles from across the decades. 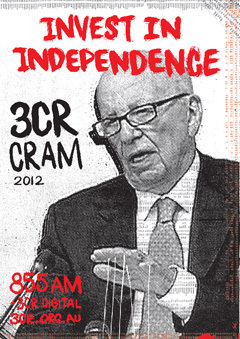 The 2015 CRAM Guide demonstrates the crucial role the station plays in a media landscape dominated by corporate interests. We showcase a selection of our unique and diverse programming as well as the things behind the scenes that makes 3CR tick and activates the airwaves. 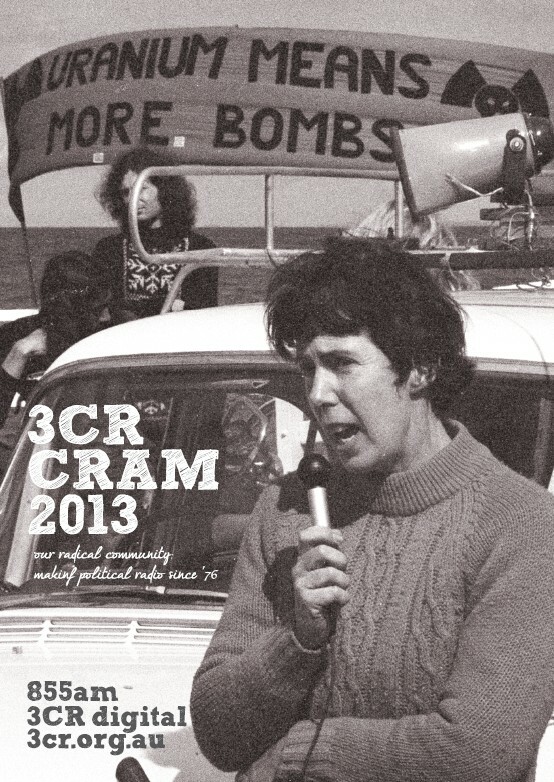 The 2014 CRAM Guide focuses on how 3CR has been the voice of community acivism and resistance since our inception. We celebrate our proud history of union affiliation, and our role in suporting and growing community campaigns both locally and overseas. The 2013 CRAM Guide celebrates the Political Donations our Programmers and Volunteers make. There are features on new programs, press freedom, protest music, politics in the arts, and the corporatisation of sport. We also pay tribute to 3CR programmers that passed away in 2012-13, and programs that finished up. 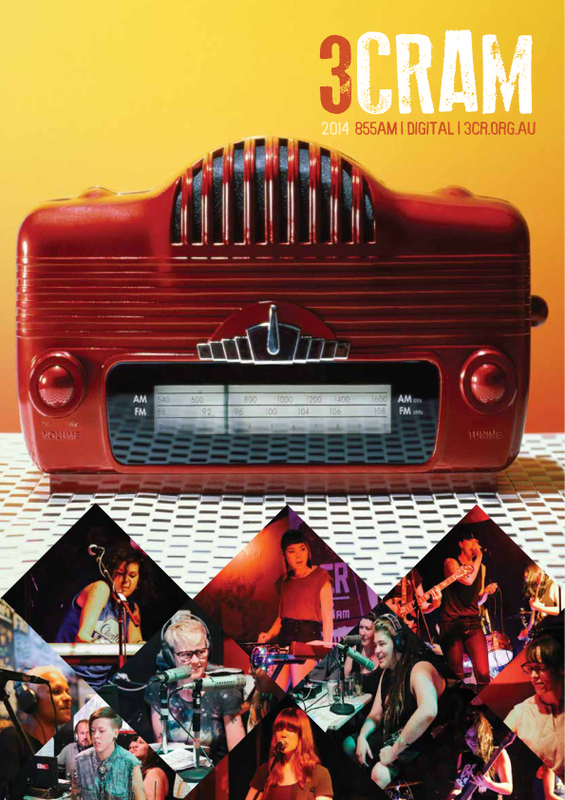 In the 2012 CRAM Guide read about Australia's dire state of media ownership and how you can Invest in Independence. There are features on Chin Radio, union activism and union radio, the struggle forWest Papuan independence, 3CR's music show scene and much more. 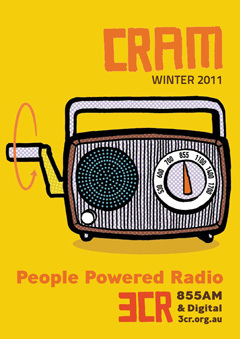 The 2011 CRAM Guide profiles the people, projects and programs that make 3CR People Powered Radio in 2011. There's a Refugee Radio feature, as well as all latest on projects: Visioning Justice and I Just Can't Hide It. New shows, solar power, farewells, people's tours and much more. 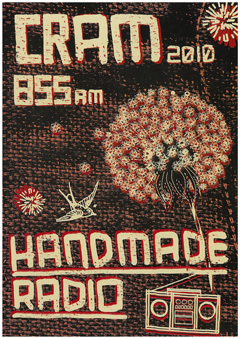 In the 2010 CRAM Guide there's all the latest on 3CR's programming as well as a great range of feature articles including: 3CR's handmade history; hands on radio with refugee resettlement and Palestine Remembered; and a handy "how to" so that you can make your ownfelt radio. 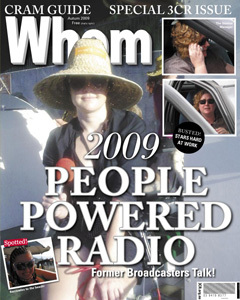 In the 2009 CRAM Guide we hear from some of the people who powered 3CR in the past - former broadcasters who now work at other media outlets and activist radio stations. 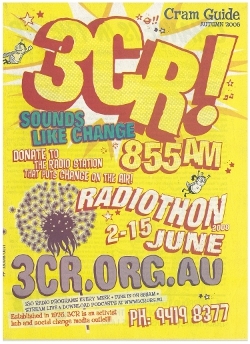 Find out why training at 3CR is so special plus how to make the most of your interview techniques, and read your revolutionary horoscopes for the month of June! 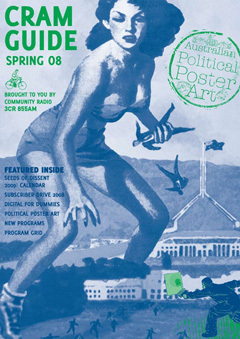 The Spring 2008 CRAM Guide profiles 3CR's latest batch of new programs, farewells some old ones and features articles on political poster art and the 2009 Seeds of Dissent Calendar. Also, a handy guide to digital for dummies. The Autumn 2008 CRAM Guide includes feature articles and profilesnew and established 3CR programs. Kevin Healy's 3CR – Still Relevant After the Honeymoon? 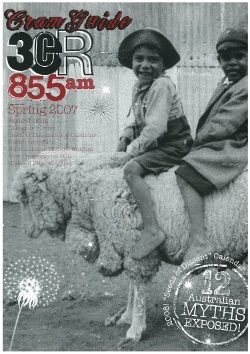 seeks to re-focus our attention at this time of post-Howard Government euphoria; Damaris Baker writes about the constraints on paid journalists in doing investigative work in Sinking beneath the airwaves; and Elanor McInerney talks to 3CR broadcaster Kutcha Edwards about his feelings on the Day of National Apology. The Spring 2007 CRAM Guide includes feature articles and profiles new and established 3CR programs. It also introduces you to the the 2008 Seeds of Dissent Calendar celebrating radical history and challenging 12 Australian myths. 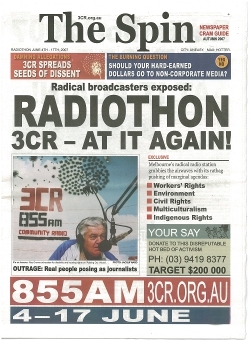 The Autumn 2007 CRAM Guide is The Spin, a tabloid expose of 3CR as a disreputable hotbed of activism, where dangerous radicals grubby the airwaves and push ratbag marginal agendas. Includes feature articles on climate change politics, the housing crisis and squatting, and profiles of 3CR talkback programs.